1. A.V. Kukhta "Luminescence of Complex Organic Molecules upon Electron Excitation", J.Appl. Spectrosc. 1998, v.65, N5, p.722-738. 2. A.V. Kukhta, E.E. 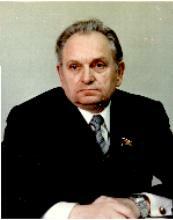 Kolesnik, A.G. Smirnov, M.I. Taoubi "Recent Progress in the Organic Thin Film Electroluminescence", Proc. VIII Int. Symp. "Advanced Display Technologies", 1999, p.100-106.